Irma Louise Vaughn, – 84, passed away on Tuesday, February 5, 2019. Born in Ferriday, LA to the late Arthur Lee and Alice Lee Howard, Irma is survived by her four children: Lawrence Lee (Billie Jean), Jacqueline Vaughn, Evelyn Lanus (Clark) and Cornelius Vaughn. 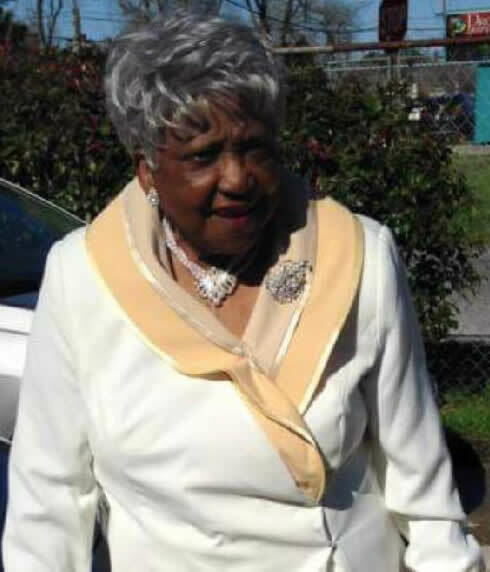 She is preceded in death by her husband Joseph Vaughn Jr.
Family and friends are invited to attend her funeral service on Saturday, February 16, 2019 at 11:00AM at Nineveh Baptist Church, 1009 Wilker Neal Ave, Metairie, LA. Visitation will be held from 10:00AM until the hour of service. My condolences to the family. Please be comforted by the Bible’s promise of the resurrection. Acts 24:15, John 5:28,29.